What Do Millennials Most Want in the Workplace? What do the vast majority of millennials believe a workplace has to offer to inspire creativity and productivity? That’s the very question companies large and small are working hard to answer: Pixar’s headquarters is famous for the playful sway of their interior design. Google takes on an office-as-playground atmosphere to promote inspired thinking. And Apple? They’ve built the mothership – an enormous campus epitomizing the open floor plan design to compel interaction. So, who has it right? The 2017 Work Environment Survey sponsored by Capital One believes it has some of the most relevant and important information revealing the future of where and how we work. 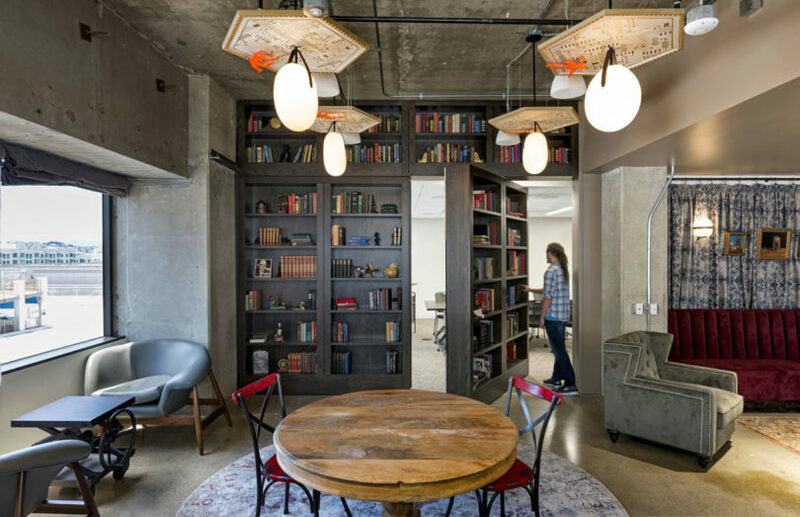 Secret passageways aren’t necessary for a creative workspace, but novel and playful interior features are surely welcome. 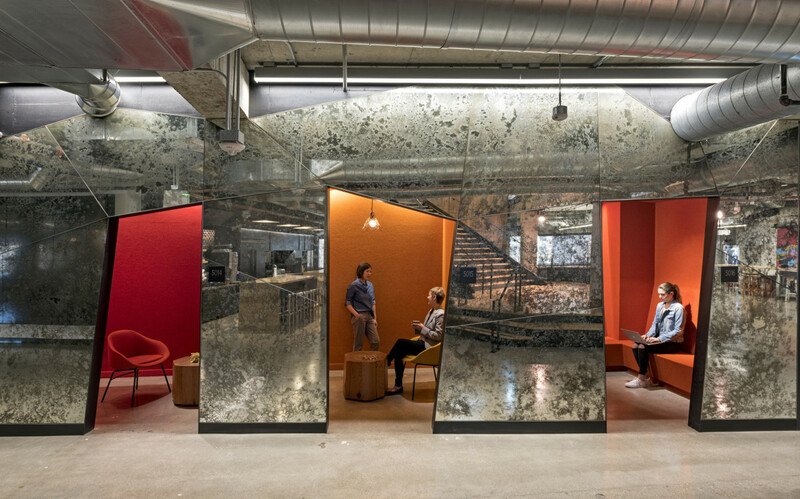 Capital One offices in San Francisco designed by Interior Architects. Photo by Jasper Sanidad Photography. The rebellion against open office settings – where personal privacy is completely eliminated under the banner of collaboration-always environments – seems a foregone conclusion, as ill-conceived for worker happiness as any expanse of windowless cubicles. Yet, the ideal conditions permitting the possibility of creative ideas to form and gestate seems as uncertain as the Heisenberg principle, simultaneously requiring privacy and openness. Too much privacy, and collaborative efforts wane. Too little, and the solitary moments required for creative minds to explore ideas withers. Employers are beginning to recognize the key in achieving this equilibrium is neither here nor completely there, but achievable integrating environmental flexibility. And now we have survey results to prove it. Capital One offices in McLean, Virginia, designed by Interior Architects. Photo by Adam Auel Photography. 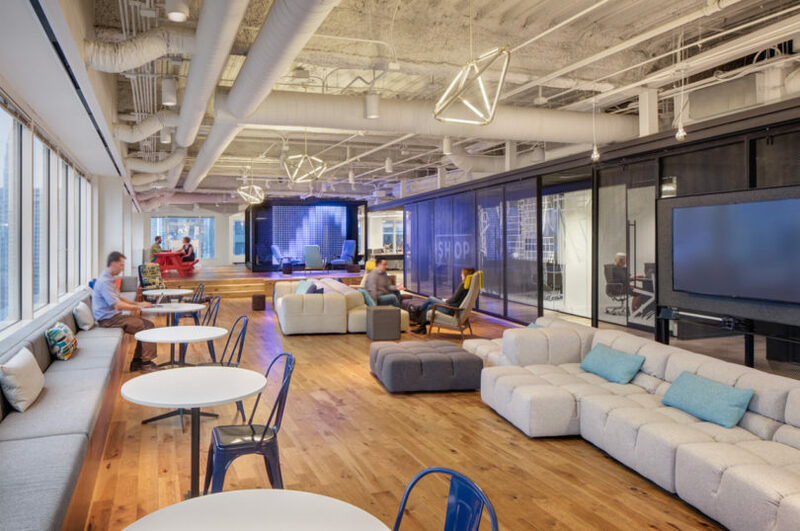 Capital One’s 2017 Work Environment Survey queried 2,500 full-time office millennial professionals in Chicago, Dallas, New York City, San Francisco, and Washington D.C., providing an overwhelming agreement (86%) that “companies cannot encourage innovation unless workplace design and environment is innovative”, identifying flexible workspaces are an integral mechanism for encouraging the best ideas (88%). 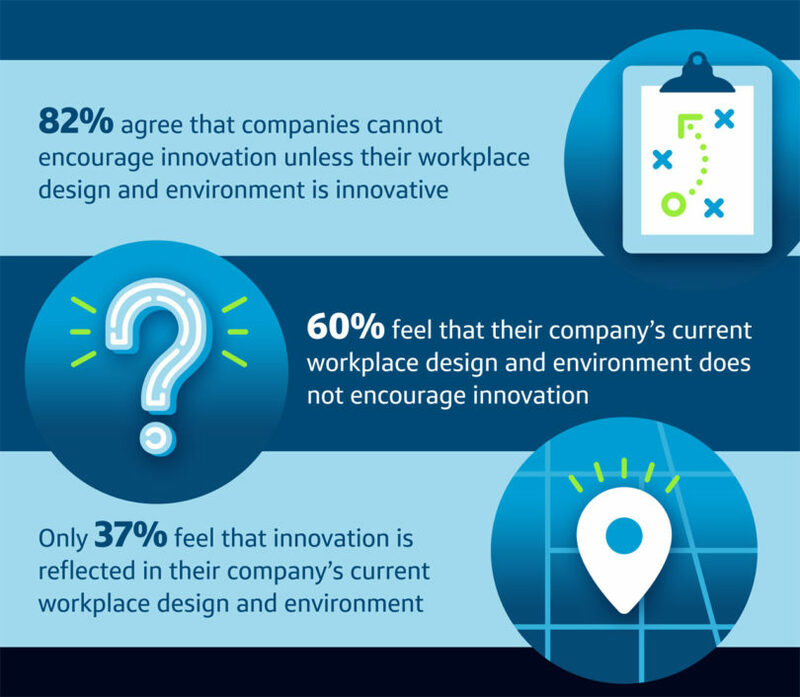 Sadly, 62% of those polled said their company’s current workplace environment fails to encourage innovation, revealing the majority of companies are not only failing to meet the expectations of their employees, but also likely diminishing opportunities for innovative thinking to occur during work hours. It shouldn’t come as a surprise the majority surveyed (62%) wanted access to natural light in the workplace. Capital One offices in Chicago designed by Gensler. Photo courtesy of Capital One. 25% cited spaces for rest and relaxation as important. 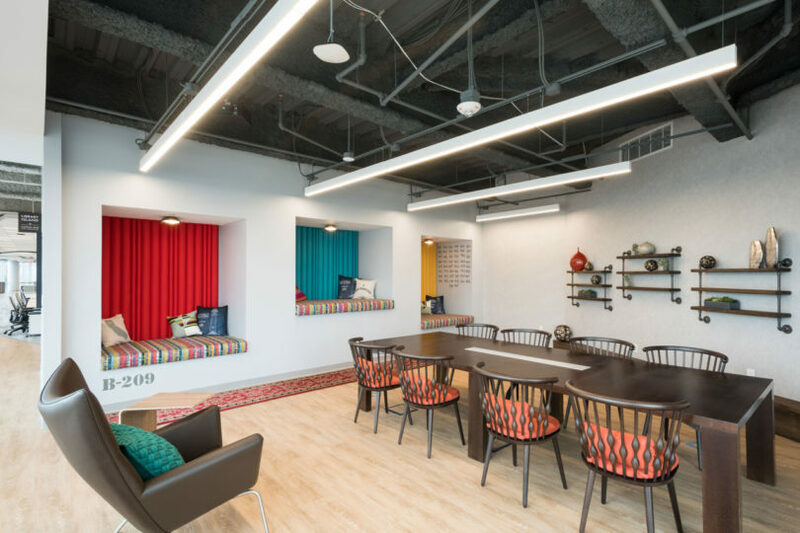 Capital One offices in Clarendon, designed by Gensler, offers intimate nooks serving this purpose. Photo courtesy of Garrett Rowland. Spaces inviting comfortable and natural collaborative interactions (37%) came in neck and neck with desire for easily reconfigurable furniture and spaces (43%). The Capital One in Chicago hits both marks. Design by Gensler. Photo courtesy of Capital One. One thing becomes obvious after reading the study’s findings: establishing an inspiring workplace isn’t a singular solution – it’s a sum of numerous factors. In light of these findings underlining design’s importance in driving innovation, the one-size-fits-all strategy of yesterday seems obviously ineffectual and antiquated. 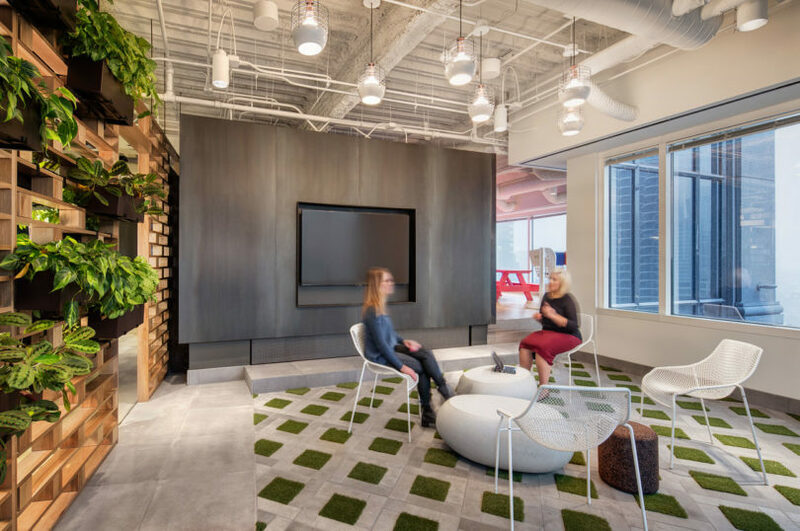 Multi-purpose, adaptable, and reconfigurable spaces are the new ideal, promoting employees to alter environments dynamically (while also facilitating focused productivity vs. mitigating distractions as needed throughout the day). In this way the interior itself becomes a vehicle of empowerment, a tool for collaboration. The design process should start with conversations with associates to assess what’s important to them, what drives them to do their work, what they care about and what makes them proud to work for their company or organization. Insights from these conversations will help define what inspires a particular workforce and how to enhance the workplace environment to achieve the greatest impact. Asking associates to describe their bright spots (what makes life easier) and their pain points (the little things that can really hamper their day) shines light on what’s already working well in the workplace as well as on issues that need to be addressed. Another way to pinpoint this is to challenge associates to “hack” their space, empowering them to identify what’s not working well and experiment to create solutions with what they have (or with a small investment). Giving associates ownership and support in identifying space challenges and developing creative fixes enables organizations to start small and refine ideas that will enhance their workplace environments until they’re tried and true. In other words, ask and you shall receive. In the end, communication, observation, and experimentation are all critical in creating engaging workspaces where inspiration has the opportunity to evolve into innovation.